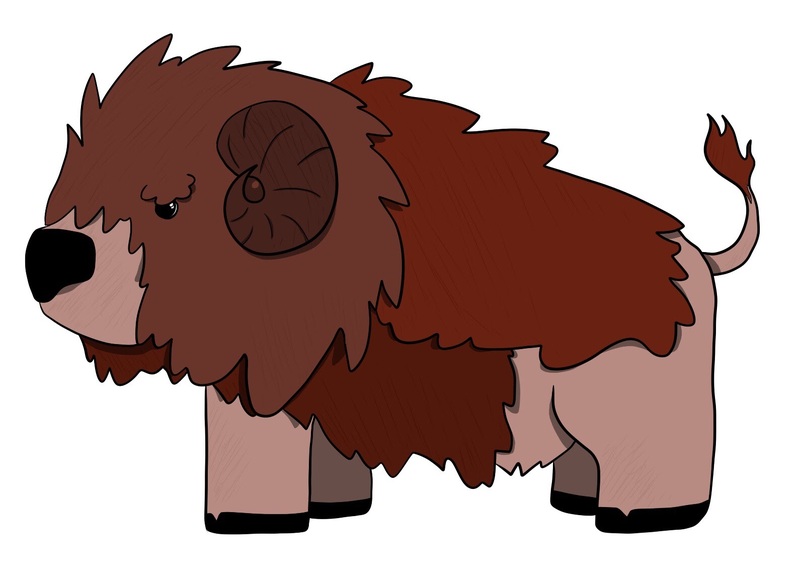 Hi, I’m a macadmin for a school district in Montana. Never stop learning. As our district has made the decision to push out uBlock, we had to include a whitelist. The documentation on uBlock's github wiki was not clear enough for me on how to deploy settings. On the macOS side of things, pushing out the configuration profile was easy enough, but the ChromeOS configuration was a bit trickier. On a few machines, I've been getting Munki errors related to the Chrome Remote Desktop Host update packages, and the Google Drive FileStream packages. The packages fail when you disable the Keystone Agent via Profile or via the MasterDisable key in /Library/Preferences/com.google.Keystone.plist. As we deploy these updates through Munki via AutoPkg, I found that I needed to disable the GoogleSoftwareUpdate package bundled with both of these. Force a DEP sync..from your phone! I've used Workflow in the past, but I hadn't really fully explored it as "click this" instead of "launch this app and run this real quick" never bothered me. Things have changed since then. Hello to Siri Shortcuts in iOS 12! I can now run things by voice. 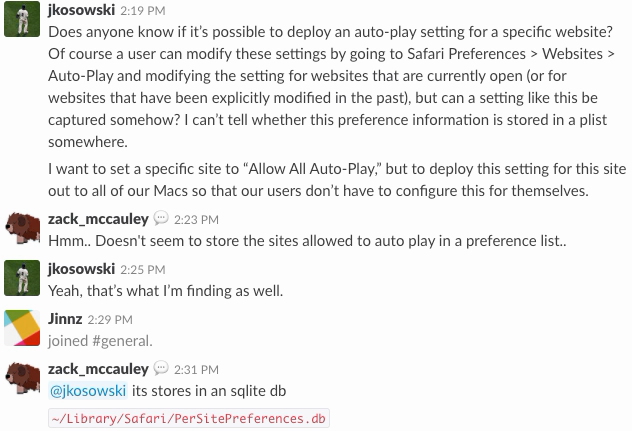 I saw an interesting question today on the MacAdmins Slack regarding setting the Auto-Play preferences introduced in 10.13's Safari. This post is still really rough, but should be fully functional.